Shoulder Instability, What Is The Problem? Your shoulder is the most mobile joint in your body. It is dependant on a combination of the bones, muscles and ligaments to keep it stable. 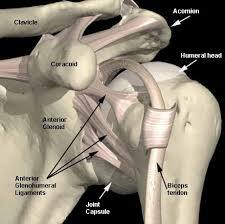 The ligaments of the shoulder joint are attached to a labrum (cartilage) on the glenoid (socket). One of the most important ligaments is the inferior glenohumeral ligament which attaches to the labrum on the bottom half at the front of the glenoid. The most common type of shoulder dislocation is anterior (forwards) and is often seen amongst young people who play ‘contact’ sports. When the shoulder is dislocated the joint capsule and ligaments are stretched and can be torn away from the front of your shoulder joint. 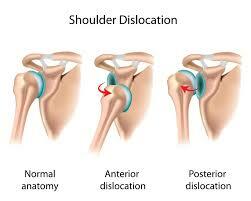 Less frequently the shoulder can dislocate backwards (posteriorly). 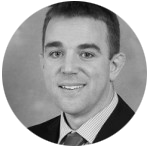 After a dislocation resulting from an injury, the risk of future shoulder instability is around 50%. After a second dislocation, this risk rises to over 80%. For many people, following a first dislocation, physiotherapy rehabilitation is suggested as the main treatment. For young contact sports players, surgery may be discussed as the first option. There is a link below to a research article written by us explaining these risks and the evidence for treatment in more detail. For most cases, if surgery is required, it can be performed arthroscopically. In some cases however, there may be a need to perform an open operation involving a bone graft, especially if the bone on the socket has been damaged. This is often called a Latarjet and further intimation can be found here. A SLAP lesion stands for Superior Labrum from Anterior to Posterior. It is a tear at the top of the shoulder socket where the biceps tendon attaches. It is seen most commonly in young people who play a lot of repetitive overhead sports or following a fall. Symptoms include aching, ‘catching’ and pain when moving the shoulder. This is an operation to reattach the capsule and ligaments of your shoulder and prevent partial or complete dislocation. The surgeon staples the detached part of your shoulder capsule, ligaments and labrum back into position. 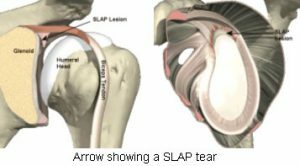 The process is very similar for repair of a SLAP tear. What happens afterwards? You will be discharged either the same day or the morning after surgery. During the operation fluid is gently pumped through the shoulder and this can leak out over the following 24 hours. This is quite normal and can appear blood stained. An absorbent pad will be placed over the shoulder to soak up this fluid. If you have had stitches, they will be removed at your GP’s surgery, usually 7 – 10 days after your operation. Sometimes steristrips (butterfly stitches) are used and the wounds therefore only need to be checked at the GP practice about 10 days after surgery. You will be given specific advise about dressings and the wounds by the hospital after your surgery. After the operation it will take up to three months for the repair to your shoulder to fully heal and you should avoid contact or impact activities during that time. The shoulder pain and stiffness can often be worse for the first six weeks and it can take up to 3 months to start making a good recovery. 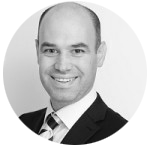 Rehabilitation is important to get the most out of your shoulder after the operation. The surgical team and physiotherapists will discuss this with you. If the physiotherapists did not see you on the ward before you were discharged you will be directed to see the physiotherapist at the out-patient physiotherapy department. 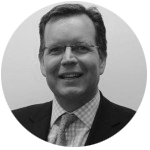 You will be given a follow up appointment for the Orthopaedic Clinic after your operation. Will I have to wear a splint or sling? You will have your arm supported in a sling straight after your operation. This is to protect the repair to your shoulder and you must wear the sling all the time for the next four to six weeks (you will be told how long). This may mean that you will need to organise for help at home.